Description: The media has a huge impact on how we view society and the world, and new technologies continue to transform the way in which we work and learn. It is therefore essential that young people can engage critically in their consumption of media and the internet and are able to make informed decisions about the technologies they use. 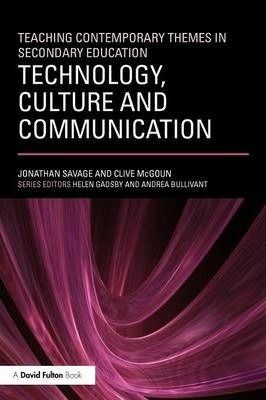 This book explores the broad contexts and ideas that technology facilitates in our culture and considers what this means for teachers in practice. It aims to help you develop your understanding about, and pedagogy with, technology and includes: * the implications of new media and technology on twenty-first century education; * guidance on choosing and using digital technologies and how these affect the educational opportunities for young people; * a consideration of students' critical and creative thinking with digital media and their confidence and autonomy in digital consumption and production; * references to recent research to support practice; * Links to resources and organisations who can offer support. Technology has a crucial role to play in processes of teaching and learning.